Paperback, 9.5 x 11.75 in. / 180 pgs / 62 color / 26 bw. This book brings together the work of American composer and artist John Cage (1912–92) and Czech artist Milan Grygar (born 1926), both of whom experiment with performance, sound and chance in their art. 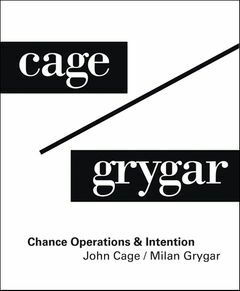 Cage’s explorations at the borders of sound and image are well known; less familiar to an American audience are Grygar’s "acoustic drawings" and "living drawings" that expand the definition of drawing to include the visualization of sound and directly incorporate space, time and performance. The works of Cage and Grygar have occasionally been shown together since the 1970s, and the two artists had been planning a collaborative performance shortly before Cage’s death in 1992. 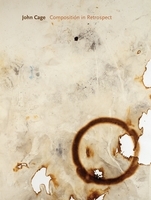 This volume investigates the convergences between the works of these two artists for the first time. FORMAT: Pbk, 9.5 x 11.75 in. / 180 pgs / 62 color / 26 b&w.